Before any AM process, a digital model must first be recreated. In most cases, these are produced on a CAD (computer-aided-design) program. Although there are various factors that must be considered during the design process, most designers find that, generally, their main concerns are the issues regarding product size and machine complexity. 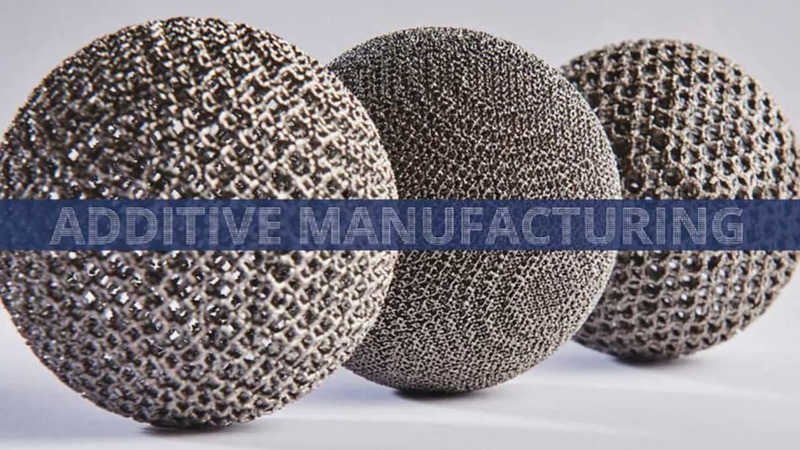 The design process is followed by the selective laser sintering (SLS) or selective laser melting (SLM) stage, which is, effectively, the forming of the 3D object. Although each laser alternative is different in their attempts – SLS fusing metal powder to a molecular level, whereas SLM melts powder – both have the desired result. "where conventional manufacturing methods falter, AM has the capabilities to put the designer in charge, allowing more freedom than ever"
AM has numerous benefits, thanks to the latest technology and design software. Where conventional manufacturing methods falter, AM has the capabilities to put the designer in charge, allowing more freedom than ever. Because of this, more complex and detailed structures can be created, without sacrificing the stability of the end-product. Furthermore, the AM process reduces waste production, as it only uses the material that is required during manufacturing. As with any manufacturing process, there are potential issues to consider, such as oxidisation. Oxidisation is the chemical reaction of electrons moving, or effectively, being lost, resulting in electrons being oxidized. This can lead to build failures or components not meeting standards. Consequently, with components being used in industries such as aerospace and defence, the need to identify oxidisation of metal is critical. At Cambridge Sensotec, we provide an extremely professional and reliable gas analysis solution. The Rapidox 2100 Oxygen Gas Analyser is just one of our many gas analyser instruments, which has the capabilities to provide low ppm oxygen analysis in high temperate vacuum applications. With an average response time of approximately 5 seconds, as well as a multitude of other configuration options, the Rapidox 2100 is the ideal machine for all your oxygen analysis requirements. For more information about Additive Manufacturing or the rest of our Rapidox gas analyser range, please contact us on +44 (0)1480 462142 or email info@cambridge-sensotec.co.uk. Additional information can be found on our website. Cambridge Sensotec Limited specialises in the design and manufacture of gas analysis equipment under the Rapidox brand name. Based in the UK, the company has an established worldwide distribution network and ISO 9001 accreditation. The Rapidox range includes high precision, scientific gas analysis equipment designed for use in industrial processes, quality control applications, environmental monitoring and research and development experiments. Initially specialising in oxygen analysis, Cambridge Sensotec has since diversified and extended its product range into other gas analysis markets, including SF6 gas monitoring. Cambridge Sensotec is also a UK distributor for many fixed and portable gas detectors including BW Technologies, Industrial Scientific, Status Scientific, Oldham, WITT and Viamed.